Learning and creating new movement patterns and sequences is very important in todays’ training. Being a successful soccer player means being flexible and agile. Tight spaces and speedy movements require you to have excellent visual and coordinative skills as well. Get a perfect synergy between mind, body and your visual skills. Optimize your perceptual skills, your reaction speed and your quality in movement. Visual coordination training is creative and challenging, and it’s a great way to improve both your agility and your coordination skills. 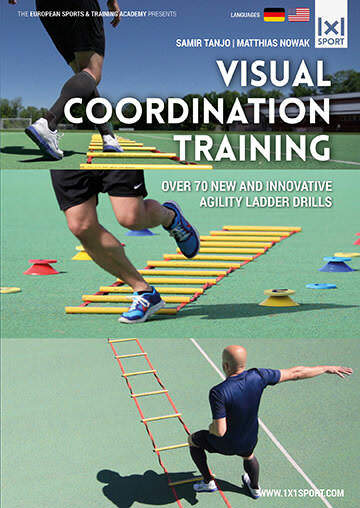 Featuring intelligent running drills with additional tasks and a variety of variations. Suitable for all ages and skill sets. Cognitive skill training at its best!